Let’s help you move quickly, efficiently and with minimum fuss. Conveyancing fees are the legal costs incurred when you are buying, selling or remortgaging a property. Our conveyancing quote will give you information on the fees you can expect so that you can budget. Our quotes are fully detailed, itemised and provide a complete breakdown of legal fees, disbursements, any additional fees and VAT. Simply enter a few details into the quote form above and you will receive an instant online quote, direct from our team , helping you to Calculate your residential conveyancing fees for moving home. Buying a house, selling your home or even remortgaging a property can be a stressful time. We have No hidden costs, no additional fees and no hidden lender conveyancing charges. 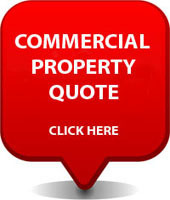 All of the quotations provided are fully detailed, with a complete breakdown of conveyancing fees and all of the associated costs, including all conveyancing disbursements, VAT, land registry fees and we even calculate stamp duty payable to the UK Government for any relevant property purchases. What are the Average Conveyancing Fees when Moving Home in the UK? Fees will depend on whether you are buying, selling or remortgaging, and each solicitor’s fees vary based on their location , expertise and other factors. . We give you an accurate final quote once you let us have the details of your transaction. 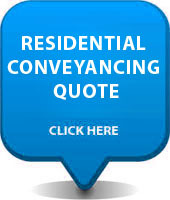 We offer one of the best value conveyancing in the UK from regulated solicitors. We are a firm of solicitors and your case will be managed by highly experienced lawyers and not “case handlers”.